New scientific research highlights the importance of a holistic approach to invasive species conservation projects. After invasive species have been removed from an ecosystem, how do you measure recovery, and what can we learn from past efforts? A new study in the scientific journal Biological Invasions titled “When does invasive species removal lead to ecological recovery? Implications for management success” examines past conservation projects to fill in some of the blanks. The researchers examined 151 studies that assessed ecosystem recovery after removing invasive species. The findings reinforce the importance of organizing conservation efforts around broad goals–such as total ecosystem functionality and health–while making plans to avoid unintended outcomes caused by restoration activities. This publication represents the most comprehensive dataset on this topic to date. How often does invasive species management lead to the broader goal of alleviating ecological impacts of the invader? In what circumstances or contexts is the potential for ecological recovery most likely? Do characteristics of the invader or the invaded ecosystem determine the potential for ecological recovery? Do certain elements of management activities increase the potential for recovery (e.g., eradication vs. suppression)? We should expect to see high conservation gains of animal populations on islands after invasive mammals have been eradicated. 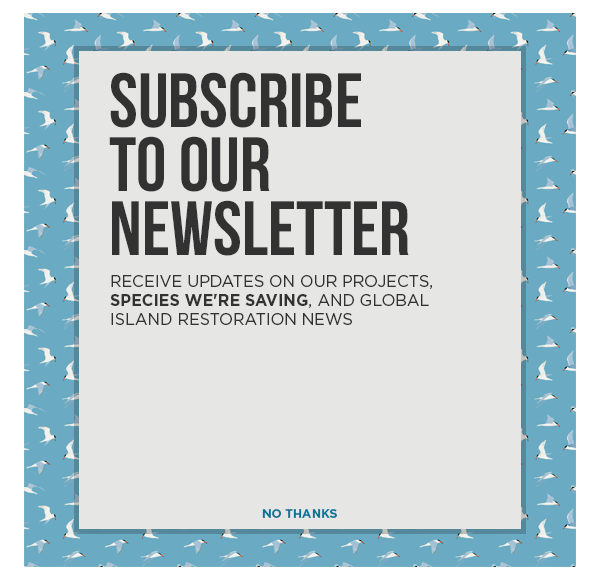 On islands, total removal of a population provides a permanent solution for an ecosystem, thereby removing the need for ongoing management, which is costly and leaves native plants and wildlife still under threat. When feasible, eradication is a more ideal approach because, in theory, it is a one-time and permanent solution that is most likely to completely alleviate impacts of invasive species on ecosystems and society. The researchers noted that following conservation activities, continued support may be necessary to ensure recovery of native species populations and holistic ecosystem health. Perhaps most successful have been the eradication of vertebrate predators from islands in allowing for the conservation gains of populations of native animals…The removal of feral goats from Santa Cruz Island, California allowed for the ecosystem to shift back to its pre-invaded woodland ecosystem from a grassland ecosystem. The researchers also note that due to the complexities of ecosystem dynamics, invasive species removal can result in unexpected negative effects for the ecosystem. For example, one study found that removal of rabbits from a subantartic island resulted in the spread of an invasive plant once curbed by the invasive rabbits (this is a big reason why preventing invasive species is always preferred to remedial activities). This ecosystem was particularly vulnerable because of compounding environmental issues—the invasive plant was supported by climate change impacts. The researchers suggest that ecosystems affected by multiple environmental stressors will need further conservation efforts after invasive species removal, while less-disturbed environments are more likely to recover without additional support from this one conservation intervention. As scientific research progresses and more invasive species projects reach completion, our understandings of this pressing environmental issue deepen and evolve. With continued research and experience, we can look forward to improved efforts that are more efficient, cost-effective, and impactful. When it comes to the global mission of preventing extinctions and supporting biodiversity, every advancement in tools and knowledge is encouraging, and taking a holistic approach to ecosystem health offers hope for the species and places that need our help now.